On the 30th of August, TEDxRVASalon teamed up with Allianz to present Beyond Our Borders at the HI Richmond Hostel. The event focused on the idea of travel and how we all experience it differently. The cozy living room area of the hostel made for a wonderful gathering space to share our travel stories and experiences. Discussions ranged from why we do or don’t travel, to the wonders of simply exploring our own hometowns. Though we usually go into detail about the many things we learned at our salons, this month we would instead like to point you to a recap written by an attendee from outside of our organizing team. Malik Hall wrote an in-depth article about our event for RVA Magazine! Check it out HERE! And, of course, thank you to everyone who came out! 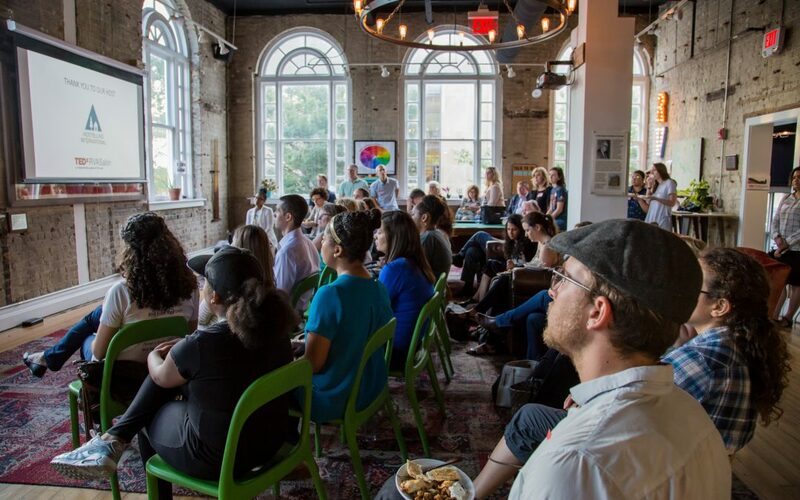 If you are interested in attending our next TEDxRVA Salon, be sure to be subscribed to our newsletter for details (form at the bottom of the page). If you’re interested in participating in any of the REI Co-op’s classes and events that focus on travel (which are open to the public and usually FREE! ), visit their website HERE for more info. If you’re looking for things to do and places to explore right here in Richmond, visit the Richmond Region Tourism website HERE to learn about upcoming events and find inspiration for your next staycation!